Most little ones go through a dinosaur addiction phase, and now you can help foster their penchant for prehistoric pals with the ultra fun, eco-friendly, POP CORK – Dinosaur Chair by design savvy La Maison de Lena. There’s nothing overly bold about this dino; with his modern design of clustered, unfettered, cork, he’ll fit in just fine, no matter what your decor style is. What do you think? Wouldn’t your child go nuts for this hip dino chair? 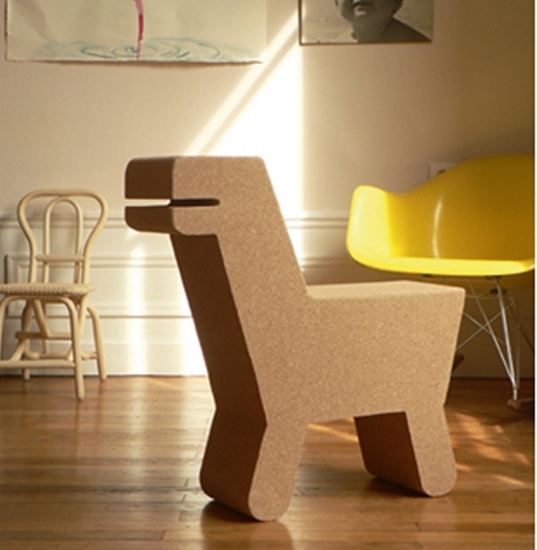 Most little ones go through a dinosaur addiction phase, and now you can help foster their penchant for prehistoric pals with the ultra fun, eco-friendly, POP CORK - Dinosaur Chair by design savvy La Maison de Lena. There's nothing overly bold about this dino; with his modern design of clustered, unfettered, cork, he'll fit in just fine, no matter what your decor style is. What do you think? Wouldn't your child go nuts for this hip dino chair?